Ulfberht: The Sword Made With Tech From The Future!? - Ancient Explorers Ulfberht: The Sword Made With Tech From The Future!? It was a sword that dominated the battlefield across different regions in Europe, it was a sword a thousand years ahead of its time, built by a mysterious craftsman. Even though it was used by many nations it is a Sword that was attributed to the Vikings and used from about 800 to 1100 AD, it was a masterpiece built from pure steel and wasn’t seen again in Europe for at least a thousand years. It was the Roles Royce of its time and it was used by only a few select warriors. 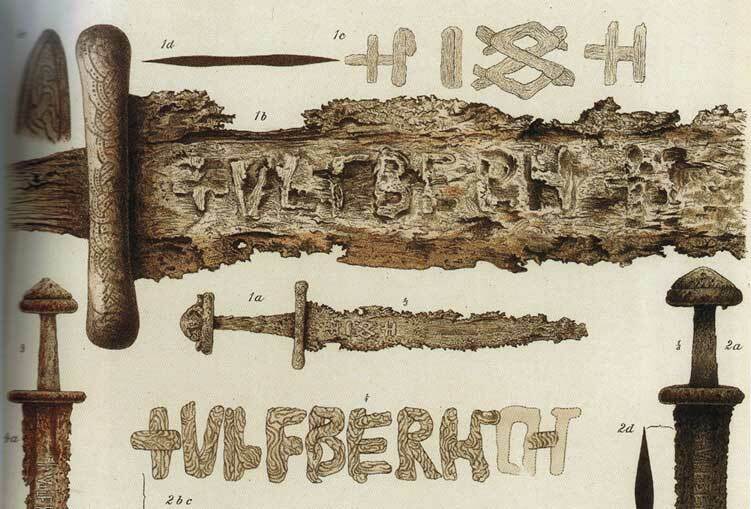 Why these swords have the inscription of Ulfberht is still an enigma as it does not appear in written texts from that time, it could have been the name of the place it was produced, or it could have been added to to sword to provide proof of authenticity, giving out a statement saying; this is the real sword. 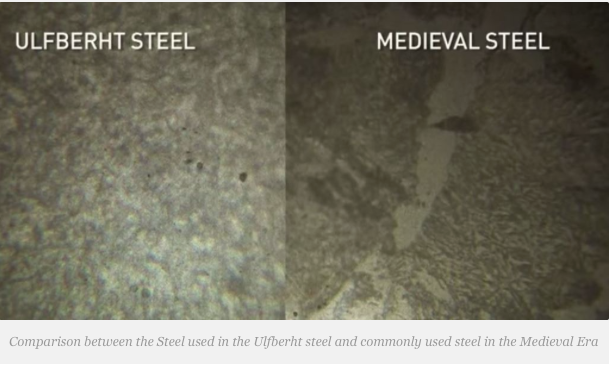 So far, dozen of forty-four examined Ulfberht swords are proven to be made entirely of crucible steel, though some of the knock-offs are of pretty good quality. The fact that Ulfberht swords appear for over two hundred years, proves that they were not produced by a single craftsmen. According to recent research scholars believe that Ulfberht was in fact a Frankish name. The cross present on the Ulfberht swords might suggest a connection with the Roman catholic church, as in the middle ages the church dominated the Frankish Empire. It is known that the church was a major producer and dealer of weapons. The Greek cross placed before the name was was a practice only used by bishops and abbots so the name Ulfberht might have been the name of a bishop, abbot or even a monastery. 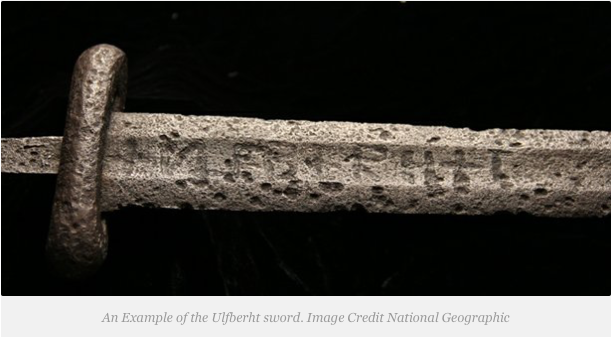 Dating showed that the swords were very famous in European battlefields and that they were produced over a period of two hundred and fifty years or more — from 850 – 1100 AD which makes researchers believe that Ulfberht was in fact one of the most ancient trademarks, a sign of quality. In Ancient Times Iron Smith’s goal was steel that could strike a hard object and neither bend nor shatter, steel that could hold a sharp edge. Thousands of Ulfberht swords were found across Europe, most of them found in rivers or-or excavated from Viking burials across Europe and Scandinavia but only around 170 Swords are proven to be the real Ulfberhtswords. These ancient masterpieces of weaponry have been buried for centuries and are only corroded skeletons of what they were once. Smelted Iron was normally used to forge weapons and armor for thousands of years, Iron on its own it too soft to yield a strong weapon that why sword-makers would add carbon from coal or charcoal which hardens the metal and turns it into steel. Typical Viking age swords had low carbon in their characteristics and had a large amount of impurities or slag, a non-metallic part of the ore which was not separated and which weakens the metal. Blacksmiths across Europe were not able to create Slag-free-steel because their fires were simply not hot enough to liquefy the iron. Today we achieve that by heating the metal to over three thousand degrees which accurately removes slag and allows more carbon to be added. In the Viking age it was very hard to add coal to the iron so it was done incidentally through fire, and the only way to remove the slag from the metal was to try and hammer out impurities. Researchers believed that the thousands of swords found across the European continent were made from this inferior steel until Dr. Alan Williams, Consultant Archaeometallurgist at the Wallace Collection, analyzed the Ulfberht sword. At that time, when the Ulfberht sword were produced, no one in Europe knew how to melt Iron at extreme temperatures for centuries, in fact, Crucible steel wasn’t around in Europe until the Industrial revolution in the 18th century, so how did the Vikings manage to get a hold of this advanced technology? The vikings were advanced in many ways, not only were they fearless warriors, they were highly skilled traders and navigators believed to have reached the Americas and Asia. Swordsmiths across Asia produced the greatest swords in human history, one of the examples is the Damascus steel which has similar chemical compositions to the metal composition of the Ulfberht swords. Many artifacts were discovered in modern day Scandinavia that originated from Asia, India and other Eastern parts of the World. Islamic coins were commonly traded in Scandinavia. 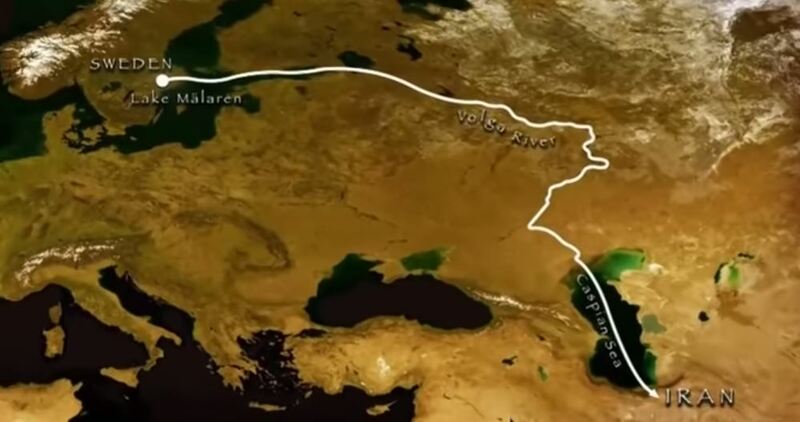 According to researchers most of the Ulfberht swords date almost to the same time when the Volga Trade route was opened, from about 800 to 1100 AD. Scholars believe that the Iron used in the Ulfberht swords actually originated from modern day Iran. Researchers suggest that vikings acquired the need material from friendly merchants in exchange of Scandinavian commodities such as furs. Ivan is a freelance writer, editor-in-chief of ancient-code.com, he also writes for EWAO, Share Knowledge, Svemir Online and Ancient Origins.